Seo Kang-joon to star in "Sly and Single Again"
Actor and Surprise member Seo Kang-joon is starring in the new MBC drama "Sly and Single Again". 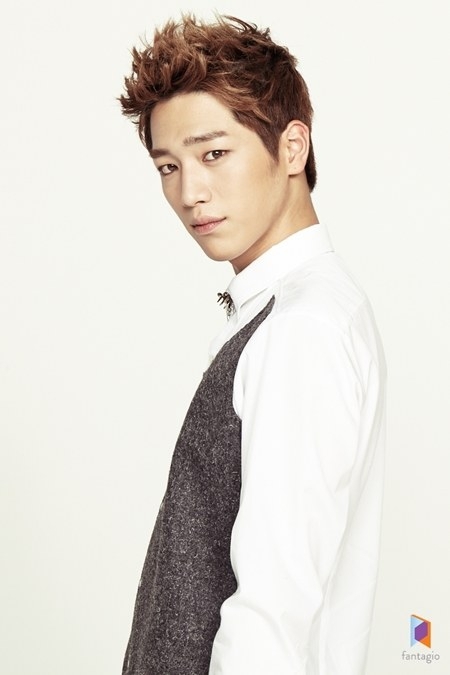 According to Fantasio, Seo Kang-joon takes on the role of Gook Seung-hyeon, a perfect guy with the style and height of a model, good looks and caring personality as well as wealth. He forms a love line with cunning girl Na Ae-ra (Lee Min-jung) and play the three-way romance with Cha Jeong-woo (Joo Sang-wook). Seo Kang-joon says, "I am so happy to have a chance in comedy and I think it's an honor to be able to work with those people whom I've always admired". Seo Kang-joon debuted through the drama-toon "See You After School" last year and starred in the SBS drama "Suspicious Housekeeper" as well as the "Drama Festival - The Murder". He is playing another heavy role in "Sly and Single Again" and many expect to see more from him. "Sly and Single Again" is a romance comedy about the realization of true love before and after marriage. A cunning woman tries to seduce her ex-husband again after he becomes rich as he tries to take revenge on the ex-wife that returned at the news of his success. To be aired on the 26th after "Miss Korea". "Seo Kang-joon to star in "Sly and Single Again""
Sol Kyung-gu and Ji Chang-wook in "Two Cops Zero: Two Constables"
Jang Geun-suk, "Park Shin-hye is my friend"
Jung Woo cried? What happened?